Venomous snakes are nothing to take lightly, especially when they decide to move in. 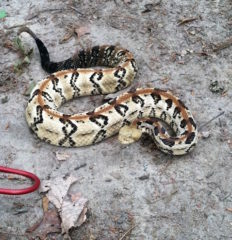 Since snakes aren’t considered a game animal in the state of Georgia it’s illegal to kill a non-venomous snake. 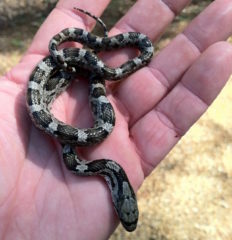 Our licensed Animal Control Technician will safely remove and relocate the slithering pests from your property. That the #1 fear for humans is the snake? More people are afraid of snakes than they are of heights and tight spaces. Good thing you have the professionals at Trademark Wildlife Division!